Oil production from Russia, the United States and Saudi Arabia reached 33 million barrels per day (bpd) for the first time in September, which means the three producers alone now meet a third of global crude demand. 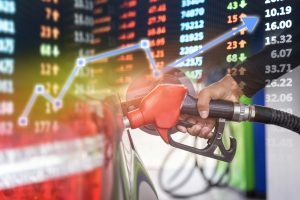 According to Bob Yawger, director of futures at Mizuho in New York, oil has been caught in the global financial market slump this month, with equities under pressure from the trade fight between the world’s two largest economies. The US has imposed tariffs on 250 billion dollars’ worth of Chinese goods, and China has responded with retaliatory duties on 110 billion dollars’ worth of US goods. US President Donald Trump warned that he has billions of dollars’ worth of new tariffs ready to go if a deal is not possible. The US is set to impose new sanctions on Iranian crude from next week, and exports from the Islamic Republic have already begun to fall. According to Jim Ritterbusch, oil price weakness is developing just ahead of the official kickoff of the Iranian oil sanctions, which suggests additional supply was brought to market well in advance of a likely acceleration in Iranian export decline.